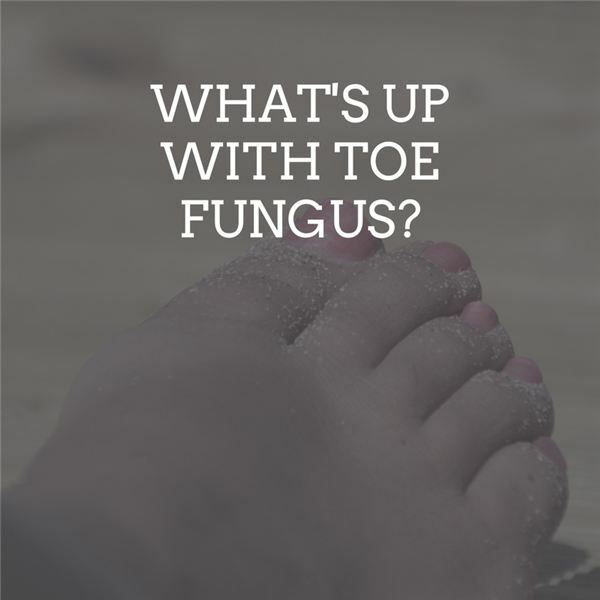 The public shower stalls at your gym, school or the concrete rinse area at the pool may have left you with an unwanted gift: onychomycosis (pronounced ONy-Ko-My-Ko-Sis), also known as tinea unguium (pronounced Tin-Knee-A-Un-Qwe-Um) or nail fungus. It is a fungal infection that got in through a crack in your nail or a cut in the skin or some type of injury to the nail or nail bed. What you are probably most familiar with or have heard of is “athlete’s feet" (tinea pedis, which is related but different. You may have had it for a while because it can start as a white or yellow spot under the nail. Over time it can create a thicker nail and later it can crumble as the fungus continues to grow and gets deeper. It grows best where fungus naturally grows: in warm, damp areas. Perhaps you wear sneakers daily and it thrives in this environment. Men have a tendency to get this more than women and diabetics are at risk because of their compromised immune system and lack of blood flow. Also, the elderly or smokers are more likely to get it; or if you have a history of over-sweating (hyperhidrosis) or have had athlete’s feet in the past. You may visit a dermatologist or a podiatrist and they will do simple tests because it can look like psoriasis. If it is indeed a fungus, they may prescribe oral meds such as Lamisil or Sporanox. These are fairly expensive and take a long time to work. This is not beneficial because they may present some serious side effects, which may be toxic liver damage to something more benign but still annoying, a skin rash. Doctors may also prescribe an anti-fungal topical cream or paint-on. And a common ailment with usage is an upset stomach. There are many fungal organisms (living species of which there are many such as yeasts, rust, mildew and smuts) and they are everywhere in many different environments. Historically, fungi were included in the plant kingdom; however, because fungi lack chlorophyll and are distinguished by unique structural and physiological features (e.g. components of the cell wall and cell membrane), which have been separated from plants. The fungus that you have is a type called dermatophyte. They need keratin for growth. A good reason not to ignore toenail fungus is that it can spread to the other toes, and your own fingernails. It can be diagnosed using a physical history, a closer examination and by using potassium hydroxide microscopy. The first thing to do is to use a good mild soap (see a recommended list in reference) and dry carefully between toes, too. This may be a good time to trim your toenails (physicians will always tell you to clip them straight across and get any rough edges with a nail file). Caution: all implements should be washed with soap and water and followed with a cleaning with common, rubbing alcohol. Don’t try to cover up your nails by painting them because at this point, they need to breathe and heal. If you catch the toenail fungus early, there are some common, at-home treatments you can try with either no side effects or very little danger. Remember, this type of infection calls for patience and persistence in treatment. Pick a type of sock that will wick moisture away. Think about wearing shoes that breathe a bit using materials such as canvas, mesh, or try shoes that are perforated. Definitely invest in a couple pair of shower shoes and wear them in public showers, around the pool, in the steam room, etc. Check your feet a lot now and use a mirror or magnifying glass if needed. Keep an eye out for changes in color, cuts, or additional damage. Pay attention to the texture of skin or any excessive redness. You may need to see a doctor if these exist or will not go away. Vicks VapoRub – It contains known antifungal ingredients such as camphor and eucalyptus oil. Listerine and white vinegar mixture – This mouthwash has ingredients such as thymol and menthol that have antifungal properties, and the vinegar is acidic, which makes an inhospitable environment for fungi. Combine the two liquids in equal portions and soak your toes in the solution, ideally for 45 to 60 minutes daily. Pau d’arco tea – Soak your feet twice a day for 20 minutes in an infusion made from two pau d’arco tea bags. This tea is indigenous to a South American tree with a bark that has antifungal properties. Tea tree or oregano oil – Tea tree oil is the do-it-all substance and has been used for many years to combat skin conditions, especially fungal infections. Oregano oil contains thymol, a known antifungal agent. Dab a few drops of oil on affected nails twice daily.